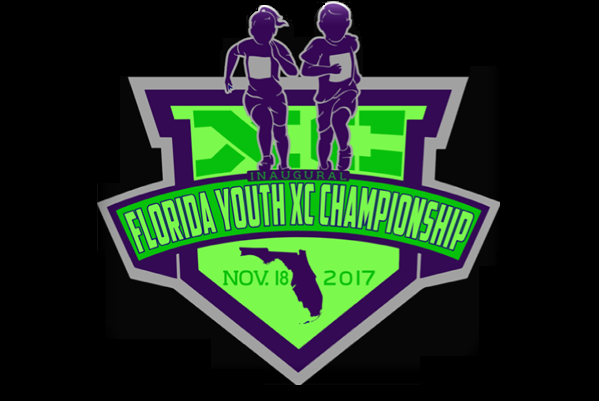 This is the Region 4 qualifier for the Florida Youth XC Championship to be held on November 18 at the Ocala Florida Horse Park. Click the image at the bottom for more information for the state meet. This region will follow the FHSAA 1A Region 3 Qualifier. For teams to enter they must register their team online on flrunners.com. The entry deadline is Wednesday November 1st at 11:59 pm. Checks can be mailed to: 5625 Holy Trinity Dr Melbourne FL 32940. Middle School students will run 3K distance. Elementary students will run 2K distance.